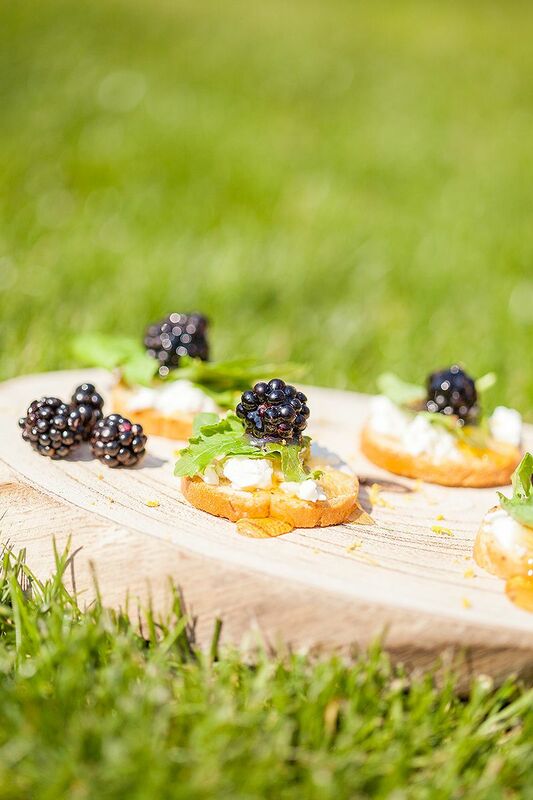 Wild blackberry crostini with goat cheese is a sweet sour snack you just have to try! Go on a trip to get the best wild blackberries you've ever had! Crostini, which is a hard, Italian baguette that has olive oil and herbs on it. As the ingredients list suggests, you can use store-bought blackberries for this recipe. 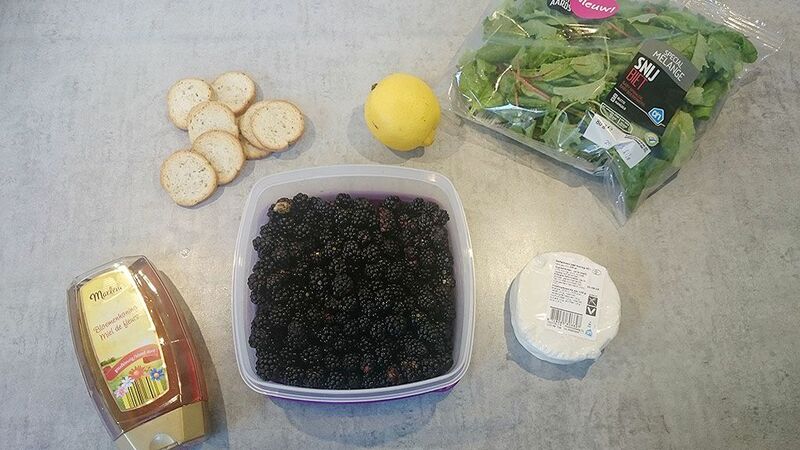 In late August you can get wild blackberries, so we went out to the forest and got a whole container full of them. Wild blackberries are smaller, and more sour. 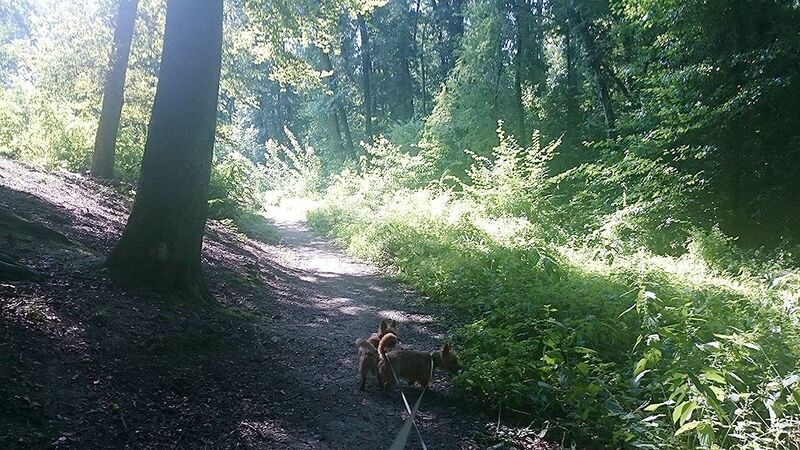 We took our dogs along with us on the trip, and started scouting the forest for wild blackberries. After grabbing a container full, we went home to eat these delicious treats. Wild blackberries should be eaten on the same day as getting them, since they will mold very fast. That’s all the preparation for now! 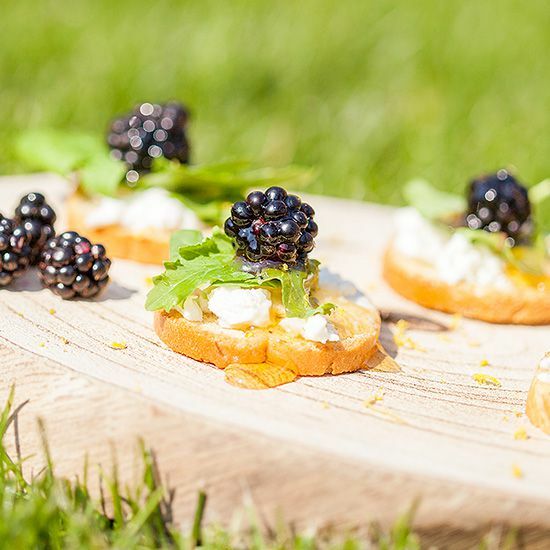 Grab a crostini, add goat cheese, some mixed green leaves and 1 or 2 wild blackberries on top. 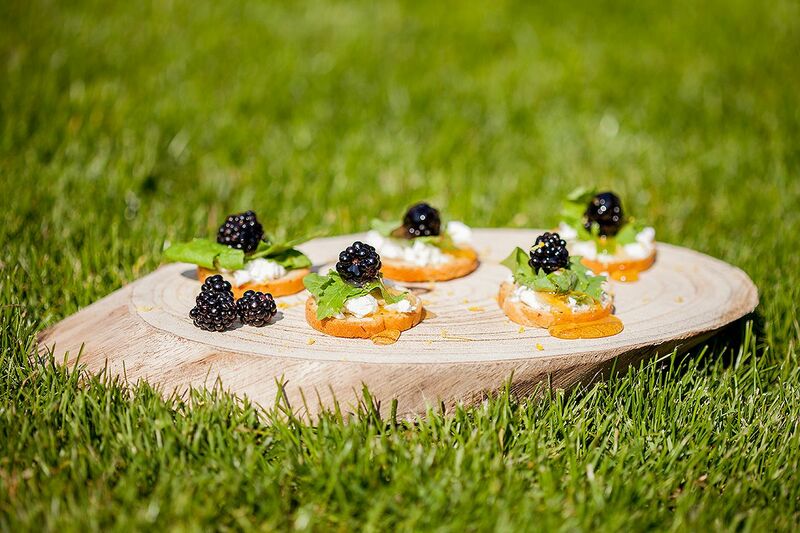 Finish by adding honey over the crostini. Zest a lemon and divide lemon zest over the crostinis. Repeat these steps for as much crostinis as you’d like!